This is an unofficial video walkthrough for 【The Escapists】. If you have not brought the game, you can get a preview of the game in this walkthrough. 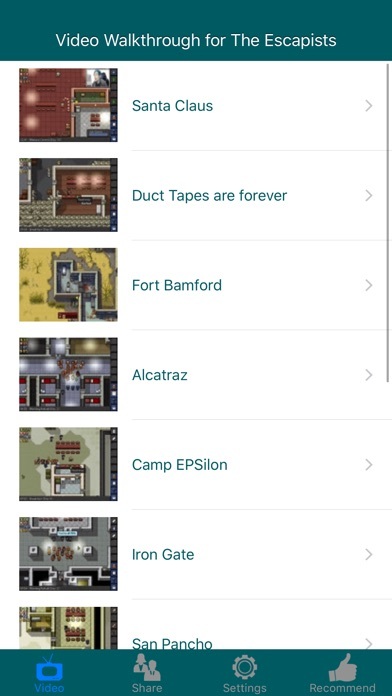 This app collected strategies, techniques, tips and tricks from experienced "prisoners", provides you the information of prisons and enhancing your "prison escape" skill, let you enjoy the game even more! 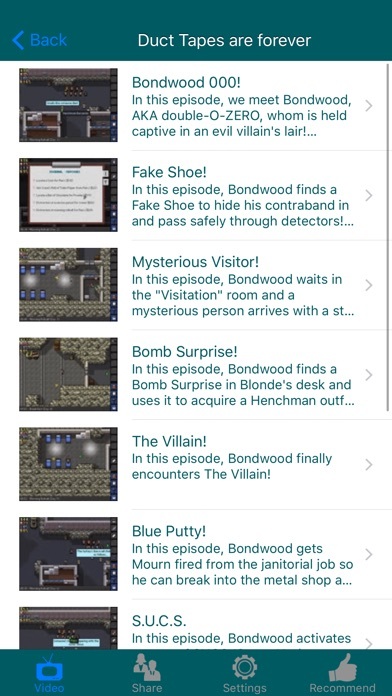 【 The Escapists】 is developed and distributed by Team17 and Mouldy Toof. This game is a very unique prison simulation game. In the game, you, as a prisoner, have to find ways to due with the prison guards, with the use of various tools, and hopefully, finally succeeded in escaping from the prisons. There are a number of packages under this titles and all are available in Steam. Currently we collected about 150 English videos. When we discover other interesting videos, we will update the app. to Team17 and Mouldy Toof. Copyright of all characters, locations, images and video game content belong to their respective owners, using this walkthrough is only within the scope of fair use guidelines.